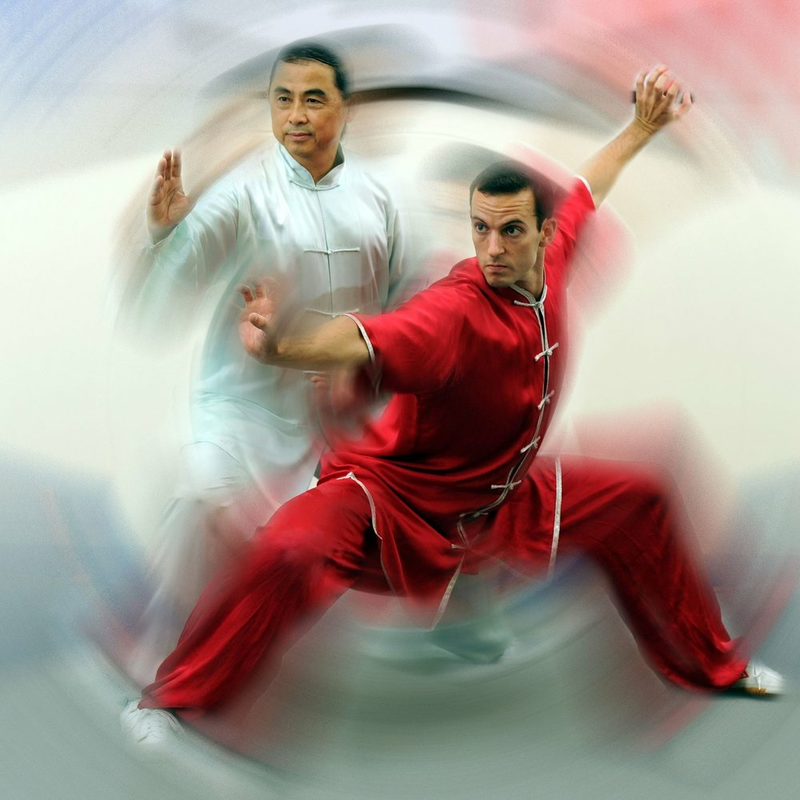 While emphasizing forms training, the solo empty hand or weapons routines which have always been of great importance in Kungfu, we blend basic and complex movements inherent to our art, including stances, kicks, punches, balances, jumps, sweeps and throws. All classes are taught using safe, fun, and exciting instruction methods. Through a unique, tight-knit community atmosphere, students of all ages and abilities are welcomed to gain life-long confidence, friendships, and skills with fun yet challenging exercises. Long Fist style is considered to contain a good balance of hand and foot techniques, but in particular it is renowned for its impressive acrobatic kicks. In demonstration events, Long Fist techniques are most popular and memorable for their whirling, running, leaping, and acrobatics. Contemporary Changquan moves are difficult to perform, requiring great flexibility and athleticism comparable to that of gymnastics. After students progress through beginner, intermediate and advanced Long Fist routines they will choose another form which compliments their skills/interest, including Praying Mantis, Tiger, Fanzi, Tongbei among others. Kungfu Kickboxing, more correctly called Sanda (or Sanshou), is a modern fighting method developed by the Chinese military. Based upon the study and practices of traditional Kung fu and modern combat fighting techniques it combines full-contact kickboxing, which includes close range and rapid successive punches and kicks, with wrestling, takedowns, throws, sweeps, kick catches, and in some competitions, even elbow and knee strikes. It’s a great way to learn practical self-defense and get in amazing shape! Combatives is a program which blends Bruce Lee’s style called Jeet Kune Do and weapons training (primarily Filipino Kali stick and knife). As with JKD the approach is simple and direct. The emphasis is on minimal movements with maximum effect. The system works by using different “tools” for different situations, where the situations are divided into ranges, including kicking, punching, trapping, and grappling, with techniques to flow smoothly between them. Unlike more traditional martial arts this style does not emphasize individual martial arts routines or patterns. Techniques and tactics are adapted to best suit the practitioner. This ranking system, similar to belt systems commonly found in other Asian martial arts, allows for students to systematically progress through our standardized curriculum. Students are able to focus on individual achievement as they advance through our ranks, becoming proficient in all areas of martial arts. Click here to view Kungfu Sash Requirements. Enjoy family fun and parent-child bonding by enrolling your child(res) in our unique CMAA kids program! Click here to learn more about our specialized Kids Kungfu program. Shifu Geller demoing with China’s national champions at the United Nations on August 18th, 2011. This is a preview trailer of the performance and a demonstration of Kungfu – Wushu.